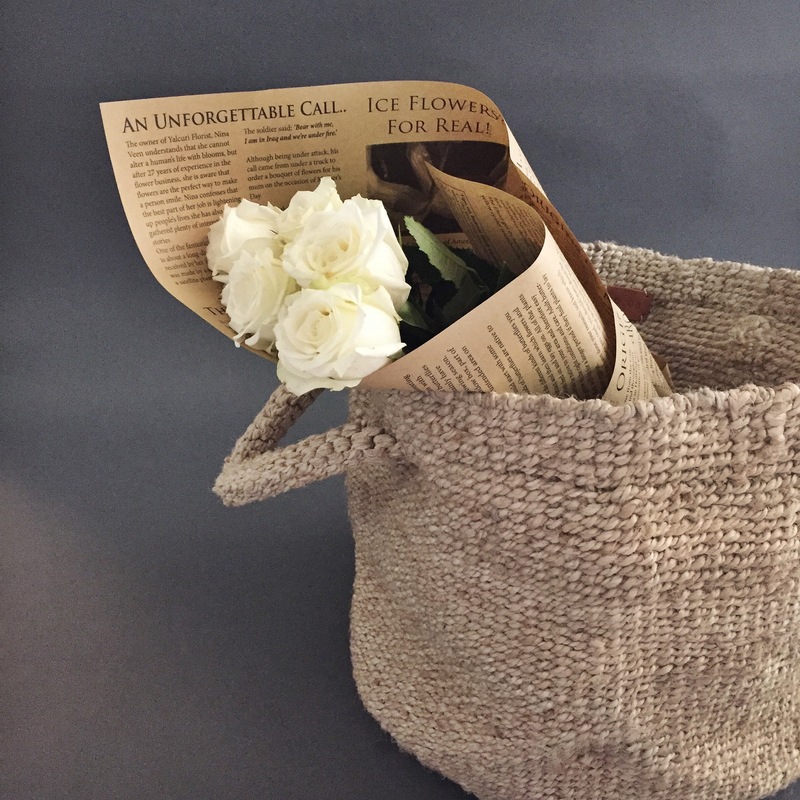 A beautiful duo of baskets in handwoven jute with chunky macrame rope-like handles for those who appreciate natural fibres and a handcrafted home. 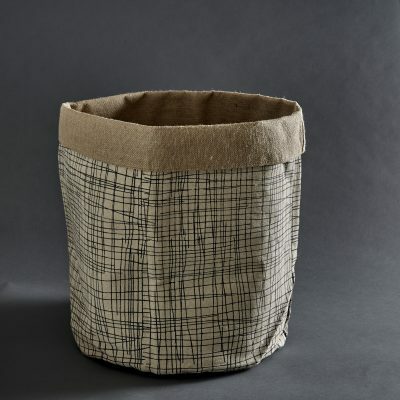 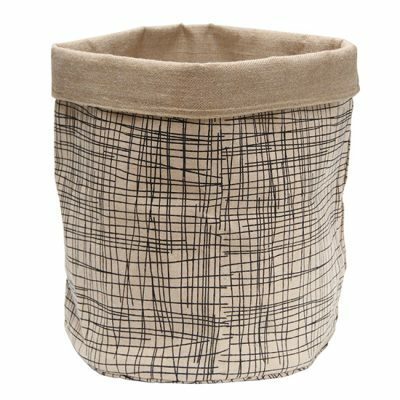 Great for storing toys, firewood, bathroom towels, blankets, laundry and more. 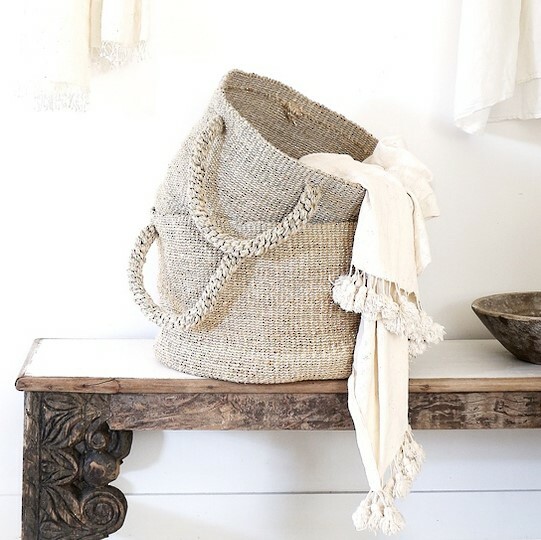 The baskets are handwoven by women working within a Fair Trade program in Bangladesh. 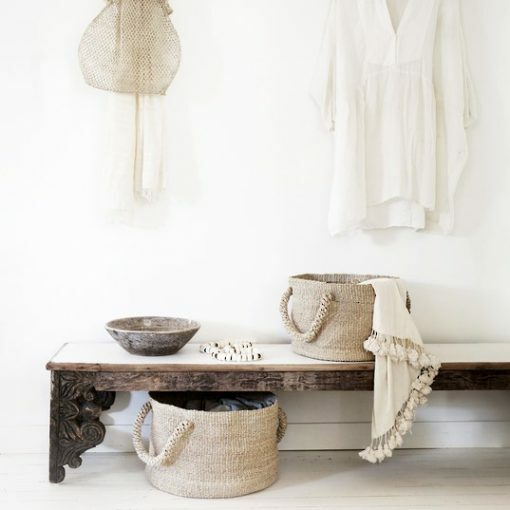 The women combine traditional weaving styles with contemporary designs and natural materials. 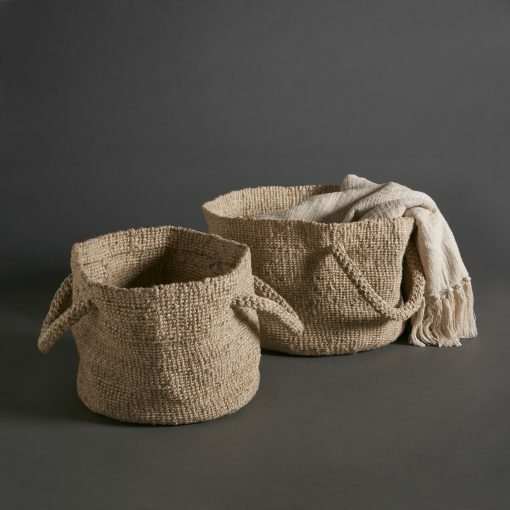 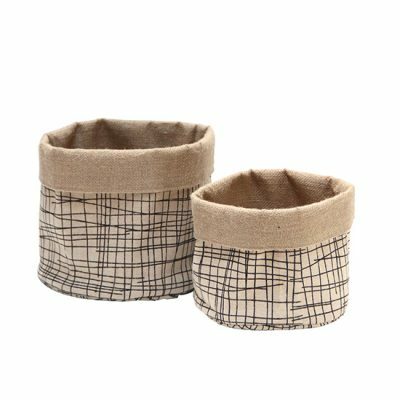 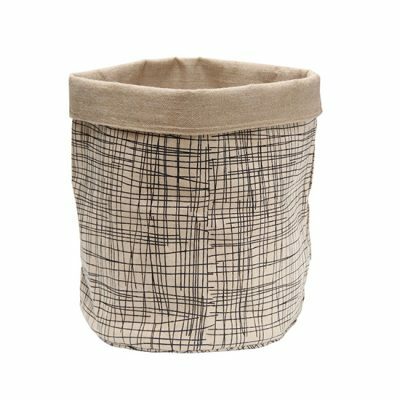 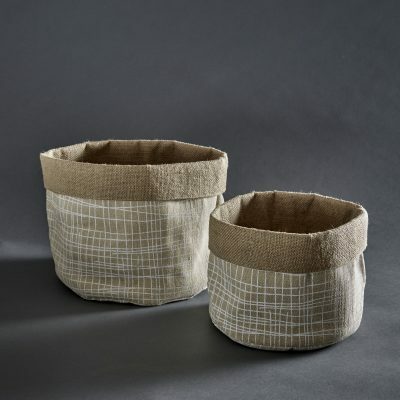 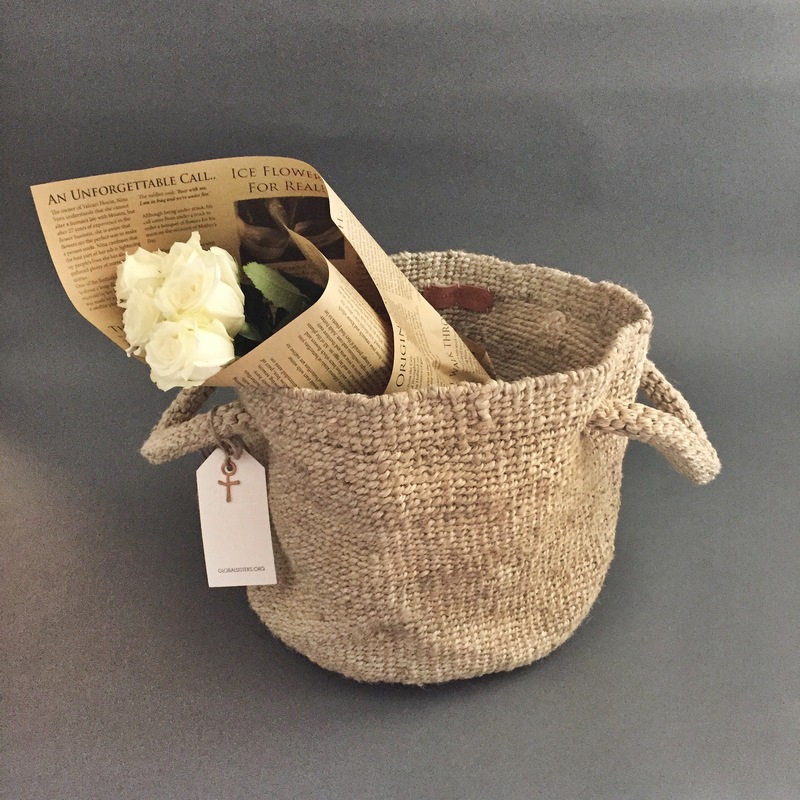 The baskets are durable, eco-friendly and the natural colour will work well in most decors, from modern or minimalist to provincial.